[Update] NVIDIA have been in touch to confirm that there is, in fact, an SLI profile for this driver. Rejoice! [Original story] Here are a couple of things that may have happened to you in the last 24 hours. 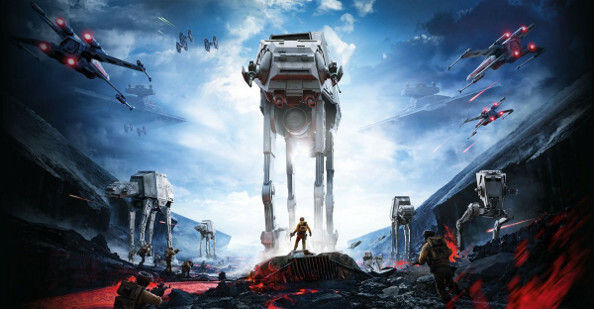 1: you got a Star Wars Battlefront open beta key through. 2: You saw the recently releasedrecommended PC specs for Star Wars Battlefront, and cried into your hands. This is why NVIDIA’s driver, the first to this writer’s knowledge released specifically for a beta, exists. A modest performance boost is promised to NVIDIA graphics card owners from the official WHQL drivers, along with ‘Game-Ready Optimization’ – delve into the GeForce Experience menu and you’ll find a one-button function which sets all in-game visual options to the sweet spot between fidelty and performance, based on your specs. Interestingly, Battlefront is one of AMD’s featured games. That doesn’t mean it’ll explicitly run better on AMD hardware, but history has often proven that to be the case. Given that company alliance, NVIDIA’s decision to release its own driver for the beta speaks volumes. Anyone experiencing what feels like unsually low performance in the beta with either AMD or NVIDIA hardware? Let us know in the comments below.